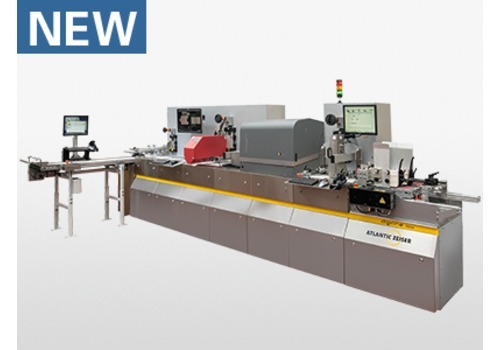 The stand-alone system combines multitude up-to-date technologies for an efficient and process safe turnkey solution. It assures that all of todays and future serialization requirements can be fulfilled – including the serialization with QR-code for Chinese veterinary medicine. The high precision transport can hold, depending on the specific demand, different ink jet printer types such as the well-proven monochrome spot color ink jet printers of the OMEGA family that are available with a print width from 36 to 210 mm. The excellent transport quality results in combination with the brand new OMEGA Pro color inkjet printers – specifically developed for late stage customization applications – into a highest possible print quality. A line scan camera verifies for late stage customization applications all of the prints made on the carton. An eject mechanism assures that only good products arrive on the delivery. Components of the well-proven and successful DIGILINE Single 450 complement the DIGILINE Versa system. These components are: label unit, e.g. for Italian Bollini, intermix camera as well as the Unique Code Software that assures process safety for serialization. Interfaces to database systems of ISA level 3 and 4 are integrated.